There is a need to scale things back, pace yourself and take it easy this week, letting things unfold naturally and at a speed they want to take. That would have been the case anyway, with work/life balance tension starting to take effect, but even more so with Pluto, the only planet active in either of your professional houses slowing down to a crawl ahead of his retrograde turn in your business sector next week. There were already signs last week that it’s about to become more about the money, ahead of the Sun’s return to your income sector at the end of next week. It’s over the weekend that you’ll have a chance to get a better read on work matters in particular, not just at the moment but looking back at things in retrospect. Time spent back at the drawing board will be invaluable. 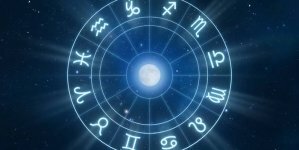 Venus’ departure from your business sector on Sunday has left you with some defined professional desires and expectations and the confidence needed to walk the talk, but also to a new phase. Since the 12th January Mercury, the Sun and finally Venus moved through your business sector, each playing their part in getting your new professional year up to speed, with Venus giving your heart the final say. This is when a period of defining what you want to achieve and your definition of success makes way for the real journey and that’s where you have a massive amount of support. With Mars just one of a team of planets in play on the work front and a total lunar eclipse in your work sector next week, so long as you can hold onto the expectations Venus left you the follow through won’t be a problem. Your week begins with an extreme amount of professional focus, with forces that require that you keep both your heart and head in the game, but also trust a nose for money. It’s on Monday, just as Venus is spending her first full day in your business sector and Mercury his last, that the Moon’s position in your income sector will give you a nose for money but also create just enough financial tension to keep you on your toes. This marks the start of a new phase in the launch of your new professional year, with Venus not only taking a more decisive role, but by the weekend teaming up with Neptune, on a long term mission to redefine your professional dreams and aspirations. It’s an alignment between Venus and Neptune that will give you time over the weekend to let your wildest dreams run wild. As the Sun continues to throw the solar spotlight on your professional situation there is a need for patience, for not only is the launch of your new professional year unfolding in stages, they are stages you have little control over. With the laws of synchronicity and the elements of fate and destiny in effect this is more about being ready, with seeds already planted those that are more likely to bear fruit, but when and how you least expect. This makes it all about remaining on your toes, ready to say yes to and respond to developments. This makes Mercury’s return to your business sector on Tuesday a real advantage, for while he’ll only spend 15 days here these are some of the most critical days of the month, ensuring that you have your head in the game, able to think on your feet. Even if you didn’t have the Moon in a reflective part of your chart as you move into the new week, this would have been a week for pacing yourself, pulling back and remaining patient. This is one time when the slower things are moving the better, without rushing or pushing things. For with Pluto spending his last full week in direct motion before turning retrograde in your work sector early next week and as the only planet active in either of your professional houses, as he slows down to a crawl so too do you. What makes this even more important is that this slow pace isn’t going to last, for with the Sun returning to your business sector late next week, Mercury just a few days later and work tension mounting, this is a rare opportunity to catch your breath and hear yourself think. As you move into the new week it has been less than 24 hours since Venus left your work sector and the Moon your business sector on Sunday, leaving you with no cosmic activity in either of your personal and/or relationship houses, for the first time in 3 months. However, this wasn’t before first leaving you with your professional instincts sharp, some valuable clues, hunches and insights that you’re only just now starting to process and a clear sense of what you do and don’t want on the work front. With new doors opening on the business front from early next month, now that the push to get your new working year up to speed and on the right track is over, you have a chance to let things settle and for the real journey to begin. Trust your heart and professional instincts and you can’t go wrong. There is a need to be on your toes from the get go this week, with Monday an especially good day for professional matters, one that not only requires you to have your heart and head in the game, but your finger on the pulse and your ear to the ground. For on Monday, just as Venus is spending her first full day in your business sector and Mercury his last, the Moon just happens to be in your business sector, ensuring your professional instincts are sharp. The fact that this is also likely to bring any work/life balance issues to a head, in the only full days this year where heart and mind are on the same page on the work front, allows you to look at how you can work smarter. This marks the point where your heart will have a much greater say in what you do and don’t want on the work front. Despite the fact that you have the Sun in your work sector, you’re likely to be both suffering from a case of Mondays and have a chance to play hooky on Monday, doing whatever you can to keep your head out of the game and your mind and your options open. 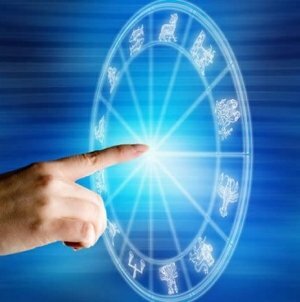 This is a very short window of opportunity, for Mercury’s return to your work sector on Tuesday marks the point where you will need to have your head in the game and in a fairly serious way. 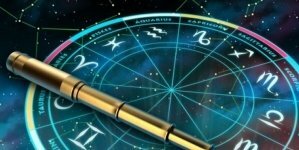 Mercury, his strategic edge and intellectual savvy are only in your work sector for 15 days, but these are also likely to be the toughest 15 days of the year for work tension and juggling and managing your time in general. It’s about working smarter and being able to compartmentalization, so that when you’re on the job you’re giving it all your focus. Thanks to the Moon’s visit to your work sector late last week and return to your business sector this Friday you’ve got a chance to start lining up at the right doors before they open, when the Sun returns to your work sector at the end of next week. You’ve had no planetary activity in either of your professional houses since Mars left your business sector in December, with only the Moon’s monthly visits to keep things on track. 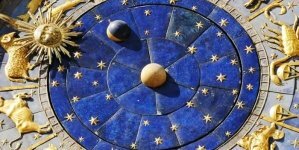 The Moon’s visit to your work sector last week was the last before the Sun returns and before your new professional year kicks off in earnest, making it important to continue to trust the emotional, intuitive and imaginative responses this triggered. Over the weekend your professional instincts will be particularly sharp, with a chance to focus on the big picture. 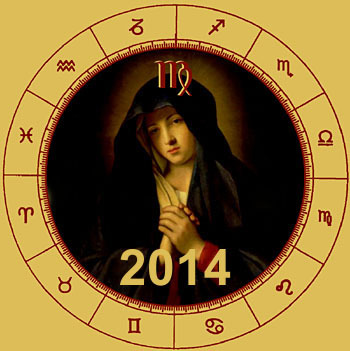 At what should be a fairly dormant time of year for professional matters, especially with Mars and Ceres, the only planets in your business sector and in either of your professional houses for that matter, in retrograde motion and on more of a long term mission. Yet thanks to an opposition with the Sun midweek, a head of next week’s lunar eclipse which is set to bring professional matters to a head or to a tipping or turning point, business forces are not taking a backseat. As well as bringing any work/life balance issues to a head, the Sun’s opposition with Mars is also likely to reveal what you’re fighting for, mainly because of the strong reactions, professional passions and fighting spirit this is likely to evoke. This is a chance to establish what really excites you. Venus’ return to your income sector over the weekend has been a game changer and not just financially, with the biggest impact likely to be felt professionally, through a boost in confidence. Monday is Venus’ first full day in your income sector, but with the Moon in your work sector this is going to give you an intuitive read on work matters from the get go. Over the coming weeks Venus will move into an increasingly tight relationship with lucky Jupiter in your work sector and Saturn in your business sector, giving you the confidence to turn work tensions into motivation or a call to work smarter. This is a reminder of how many resources you have to call on and as Venus raises the bar on your income expectations, this will have an effect on your professional expectations as well. With an increasing amount of focus on income matters and even more so when Mercury and his smart head for money return to your income sector on Tuesday, what you need is some professional support and insight. 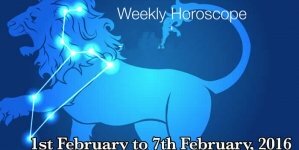 With no planetary activity in either of your professional houses the Moon’s monthly visits provide the insight you need and this week this kicks in at the right place and time. With the Moon visiting your work sector midweek, triggering your emotional, intuitive and imaginative responses, you’ll have your finger on the pulse and your ear to the ground when Mercury returns to your income sector. Each month the Moon’s return brings you one step closer to lucky Jupiter’s return in July, with a need to pay attention to what your gut is telling you, raising the bar on the income front.